achieve fiscal consolidation. Fiscal consolidation refers to measures or policies taken by government to reduce deficits and debt accumulation. And the Zambian government over spent in the first two months of the current financial year. When we tell you that Felix Mutati failed accounts and is just Japanese robot, you argue. 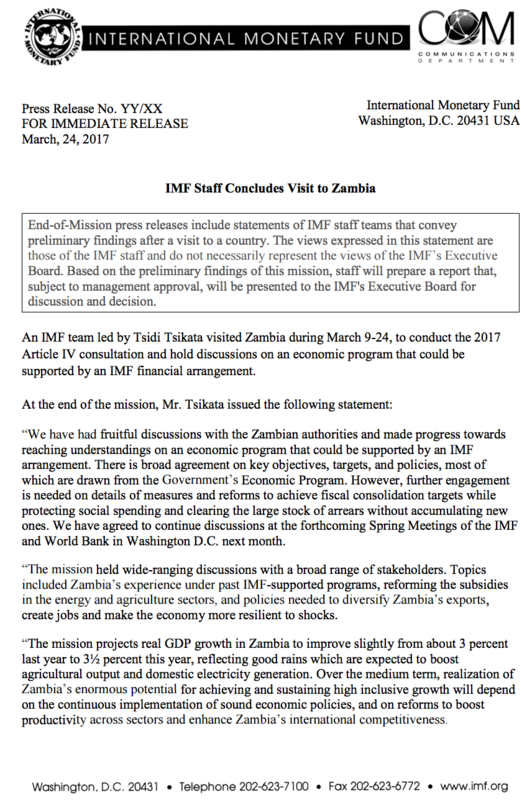 The IMF team that has just concluded its mission to Zambia says ‘there is broad agreement on key objectives, targets, and policies, most of which are drawn from the Government’s Economic Program’. 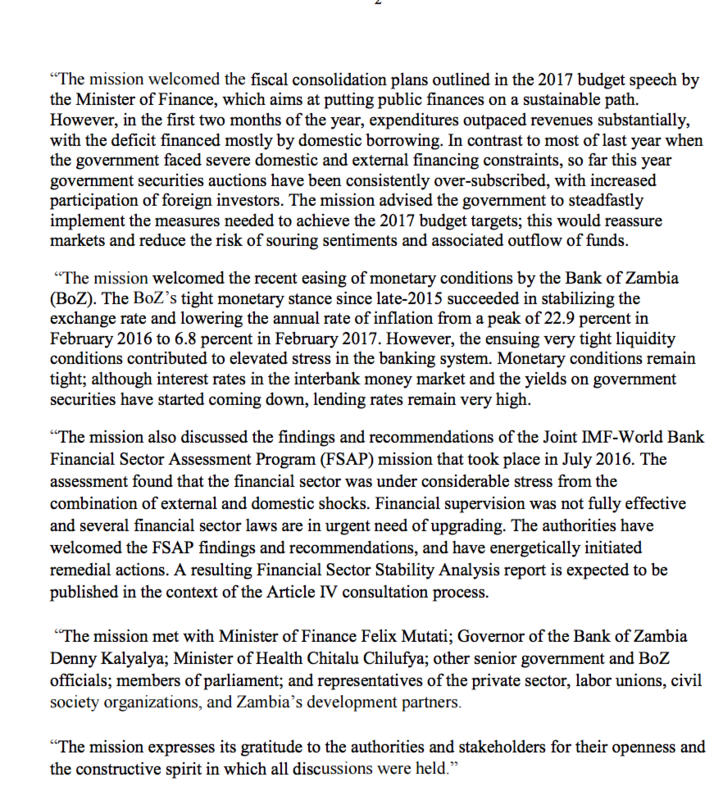 This simply means that the IMF rejected the explanations given by the Zambian government. Mutati and his team failed to convince the IMF team that they will clear the already existing huge loans without resorting to more borrowing. Mutati and his PF team further failed to convince the IMF how they will ensure social spending. “We have agreed to continue discussions at the forthcoming Spring meetings of the IMF and World Bank in Washington D.C. next month,” said the IMF team led by Tsidi Tsikata. This means that the PF will have to provide convincing details next month or there will still be no money. The IMF team welcomed t the BROAD fiscal consolidation plans outlined in the 2017 budget speech by the Minister of Finance, which aims at putting public finances on a sustainable path. But almost mockingly, the IMF team observed that ‘however, in the first two months of the year, expenditures outpaced revenues substantially, with the deficit financed mostly by domestic borrowing.